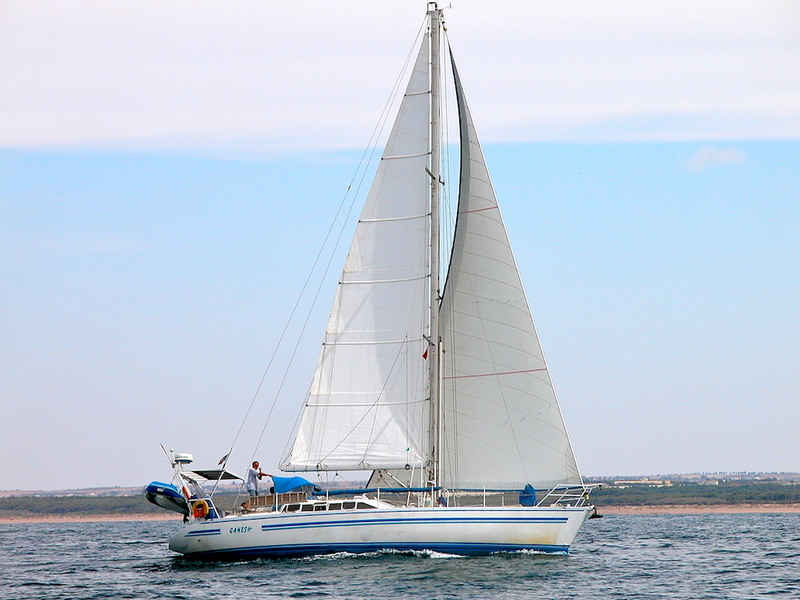 GANESH a 1993 Garcia Passoa 47 is the ultimate long range cruising yacht. Her draft is a little over 3' giving endless anchorage options. Thanks to her integral centerboard design she is able to be run up on the beach if need be, or wait out a low tide. She has been well maintained by her 2nd owner. Currently locate din Annapolis, MD with an asking price of $295,000. Contact centrall agent Erik Haaland for additional details.